The Enneagram provides a valuable map to help guide our work on the paths of spiritual growth and personal / psychological transformation. Bringing patterns of emotion-driven, unconscious processes of the Mind/Brain to conscious awareness is at the core of this work. In this webinar, Jack will discuss (in plain English) how fundamental mammalian emotion systems (nature), and the ways in which we humans learn to regulate and use them (nurture), shape attention and perceptions from moment to moment, behavior, and the longer-term structures of our personalities. The presentation will draw on the work of an ongoing collaboration, The Brain Group*, which seeks to bridge the Enneagram community’s collective understanding of these processes, and scientific perspectives on the nature of the human mind. * The Brain Group: Laura Baker, David Daniels, Denise Daniels (deceased), Jack Killen, Dan Siegel. We will make this webinar available in a few weeks as a recording, but we encourage to join us live and have the opportunity to ask questions during the Q&A. JACK KILLEN, MD recently retired from a 35-year career in biomedical research at the National Institutes of Health. He has been an avid student of the Enneagram for 20 years, and is a Certified Narrative Enneagram Teacher and a Certified Coach through The Enneagram in Business. His interests are in the intersections of science, the Enneagram, and wisdom tradition teachings and practices. Jack teaches Enneagram workshops and collaborates with his husband, Fred Boykin, in work with individuals and couples. 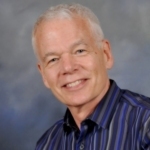 He is a professional member of the International Enneagram Association, past president of Enneagram Association in the Narrative Tradition (EANT) and a member of The Narrative Enneagram (TNE). 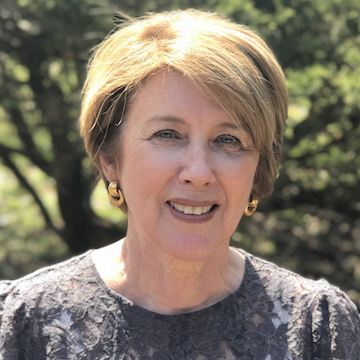 JOYCE PLAZA, MS, MBE, CIP, is a TNE board member and former board member of the Enneagram Association in the Narrative Tradition. She has studied the Enneagram since 1998, became a Certified Narrative Enneagram Teacher in 2009, and is a Certified Professional Life Coach trained by the Institute for Professional Excellence in Coaching (IPEC). She also is a professional member of the Arizona Enneagram Association (AEA). She teaches classes and conducts workshops on personal transformation using the Enneagram of Personality System and uses the Enneagram in her personal and professional life. She continues to study the Enneagram Personality System in addition to studying the Gurdjieff Work. Joyce has more than 40 years of teaching experience, in various subjects, which included teaching all levels of students and adults, from high school students, college freshman, graduate students, college faculty, and medical school students. Click here to register for free on Zoom. 1) Join now. After you receive your membership confirmation, return to this page to register on Zoom. 2) Pay the $30 nonmember fee, then register for the webinar. If you would prefer to attend the webinar as a nonmember, please pay the $30 fee now using the form below. After submitting your payment, please complete your webinar registration on Zoom.